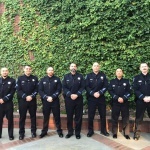 When Antioch Police Officer Amiri was performing a routine traffic stop at 1:00 a.m. on Saturday, July 14th, a very friendly, snorting French Bulldog jumped into his patrol vehicle. Officer Amiri brought the cooperative runaway to Antioch Animal Services where it was discovered the dog had a microchip. All of the information on the microchip was up-todate, so the owner was informed that her dog was safe at Antioch Animal Services. When we contacted the owner, Lauren, she started crying in disbelief. Her dog, “Hemi” had been missing since November 9th, 2015 from their home in Orinda, CA. Hemi hasn’t come clean on what he’s been up to for the past two and a half years, but he sure is happy about being reunited with his owner. 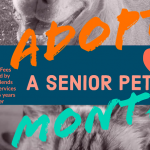 Antioch Animal Services welcomes you to find your new Best Friend with Reduced Adoption Fees on all of our wonderful Shelter Pets!! 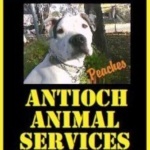 Antioch Friends of Animal Services is Sponsoring the first $50 of any Adoption Fee during the Month of July!! 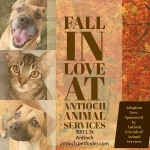 You do NOT have to be an Antioch Resident to adopt from our shelter; however, if you are a Resident of Antioch, you must pay $19 for a dog license fee at time of adoption.